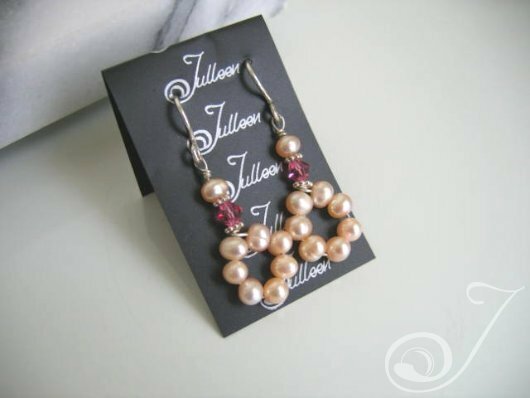 Pearl Drop Earrings. Freshwater Pink. Pearl Hoop Design with 6mm Creamy Pink Pearls, Musk Pink 5mm facetted crystal, all Sterling Silver. Length – 48mm.